In true American fashion, the chair I’m sitting on was made in China, my table is from Thailand, and the whiskey on my shelf was imported from Ireland. Most of the stuff around me originated from somewhere else, and if you’re indoors it’s a safe bet that the objects around you were not made on site either. Everything we consume, from produce at the grocery store to our furniture and electronics must complete the journey from raw materials to the finished product sitting on our shelves and in our fridges. This journey through material harvesting, production, distribution, and final sale is made possible by a supply chain. Consumers aren’t privy to production and distribution processes so it’s easy to forget that laptops don’t grow on trees. Without the invisible workings of supply chains we could not enjoy our current levels of abundance and convenience. When we need a new computer we don’t break out the pickaxe to start mining silicon, we leave the heavy lifting to the professionals. Engineered chains consisting of hundreds of companies that each contribute their resources, knowledge, and expertise work to furnish our finished products. Supply chains such as multinational IT company HP’s uses hundreds of suppliers across four continents to pump out the 118 PC’s, 76 printers, and 639 consumables demanded every minute of every day by consumers . Supply chains capable of producing this volume are collaborative marvels, but they are far from perfect. In a system with so many moving pieces it can be difficult or impossible to pinpoint the origin of any single finished product. Chipotle encountered this problem in 2015 when an E. coli outbreak from one of it’s restaurants left 55 customers sick . Management could not find the source of the outbreak due the company’s reliance on multiple third party beef suppliers. After five months they could only postulate that the source of contamination “most likely” was an Australian beef supplier . The inability to trace a products journey through their own supply chain had serious consequences for Chipotle. They took the brunt of the customer retaliation for an oversight that was mostly not their fault, and company shares plummeted 42% as a result . This deficiency arises from competitive contracts between suppliers that have no incentive to share information and is not unique to Chipotle. In a 2017 experiment Walmart discovered that it took seven days to track mango slices successfully to their home farm . However, that time was reduced to seconds with the introduction of blockchain technology. Blockchain technology offers a specialized solution for the supply chain traceability problem. For those unfamiliar, a blockchain is a distributed, decentralized, public ledger. The difference between a modern supply chain and a blockchain powered one is how data is shared between constituents. Data uploaded to the blockchain is broadcasted to a public ledger where it is available to be viewed by every participant in the supply chain, instead of being hoarded into individually managed databases. The result is a bird’s-eye perspective of not only the movement of products, but a comprehensive picture of chain characteristics and operational bottlenecks. Conversely, blockchain allows collaborative information to be shared with every constituent merely by running software. The computational work is outsourced to volunteer nodes, negating the need for expensive centralized databases or engineered data highways between only two companies. That would help explain why Walmart has begun to track its lettuce by blockchain after a two year trial . 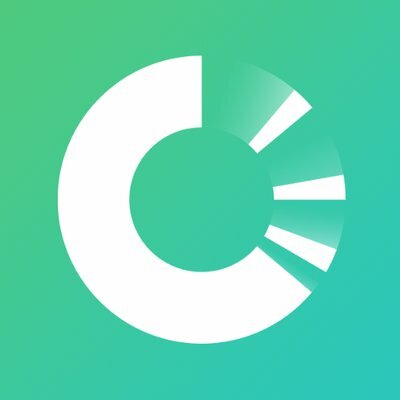 OriginTrail is not a blockchain. Yes, after all that build up the solution is not a blockchain, it’s a secondary network layer that facilitates data storage and retrieval with the use of the ERC-20 token, TRAC. The network periodically anchors it’s states into a blockchain. Any blockchain. One of OriginTrail’s largest advantages is that it is completely blockchain agnostic, an important distinction when not every future network participant will be using the same system. A system focused on interoperability is necessary to connect potentially hundreds of companies, each using their preferred standards and infrastructure. True to the decentralization philosophy behind blockchain, OriginTrail imagines itself as an umbrella network authenticating and storing the data produced by the planets supply chains, each of which is free to operate on the blockchain of its choice. The OriginTrail Decentralized Network (ODN) borrows the incontrovertible trust generated by a blockchain while discarding some it’s bulkier components. It operates on a Proof-of-Stake (POS) consensus mechanism, meaning that the nodes that validate its data must stake a portion of the network’s local TRAC token. Supply chain companies that generate data about the state of their products must pay network fees to store or retrieve data. These companies will pay operational costs proportionate to their data storage and retrieval needs, 100% of which will be paid to the nodes that facilitate the retrieval or storage. The system promises an indisputable and auditable sequence of events to companies at reasonable cost while rewarding the nodes that perform the operations. The OriginTrail team did more than promise in the end of 2018 with the launch of the Vostok Mainnet. An operational mainnet separates OriginTrail from the pool of vaporware projects plaguing the crypto space. They also have established several impressive partnerships, including the United Kingdom national standards body BSI. BSI wants to “deliver blockchain-enabled solutions that will enhance its global assessment, certification and supply chain services to confirm the provenance of goods and/or the integrity of digital records or services .” They spelled it out, they will be using the ODN and have over 80,000 clients every year and operate in 172 countries worldwide . The ODN may only be several months old, but it seems that it will soon have global influence. Keeping with the theme of interoperability, OriginTrail partnered with technology corporation Oracle to seamlessly connect their cloud services to the ODN. Oracle’s pervasive products and services will soon be able to connect directly the to the ODN. Even more promising is their partnership with global standard setting GS1, who states “It has become apparent that blockchain technology will shape the future and rewrite the rules for personal and corporate finance, medicine, supply chain transparency, identity verification, construction, and more .” Once again major corporations intent to utilize the amazing potential of the OriginTrail project is spelled out. The first step is broadcasting the potential of the network, soon to be followed by the onboarding of clients. This small token, currently ranked 355 on coinmarketcap.com has a lot of potential, and is delivering. Once the world’s supply chains begin to use blockchain they will need a standardizing, interoperational network to connect them all. The OriginTrail Decentralized Network just might be the perfect candidate. Using technology like OriginTrail we can optimize supply chains while adding real value to the consumers by authenticating factors such as organic production, local sourcing, sustainability, animal welfare, and fair employee treatment. Often business leaders face the choice between social responsibility or profit. Luckily with OriginTrail these two coincide. We can revolutionize the global supply standards if we just stay on TRAC. “From Farm to Blockchain: Walmart Tracks Its Lettuce” The New York Times. Corkery, Michael. Popper, Nathaniel. September 24, 2018. “Supply-chain Integration through Information Sharing: Channel Partnership between Wal-mart and Procter & Gamble”. Grean, Michael. Shaw, Michael. Insight and news about the crypto space, exploration of blockchain technology, and predictions for the future.